Way back when, in the good old days, we issued a message of hate upon the frequently coronated burrito champ of San Francisco, La Taqueria. And we continue to stand by that message. La Taqueria is for dilettantes. Since then, we've been asked (often aggressively by Taqueria fans): what is the best burrito, then? What's the professional's pick? The answer is, admittedly, not as easy as rolling through a bracket. But it's high time we put out our favorites. So here's a first cut at answering the question. El Castillito is utterly excellent. Three ingredients are key to its magic: the meat, the tortilla, and the cheese. The meat is perfectly tender and well-spiced. We're partial to al pastor, and man-oh-man is this killer pastor. It falls down off the rotisserie like manna from Heaven. What does the pastor fall upon? An immaculately grilled tortilla. It's not clear what exactly is going on with the tortillas' composition, but they're above and beyond the normally high Mission standard. This paragraph, though, is wholly devoted to cheese. Because melted cheese on the inside of the tortilla is the mystery ingredient. It's the thing that brings this burrito from great to incredible. We don't know why so few joints go to the effort to liquify the interior with fat, but those that do are instantly promoted. This is a signature example. 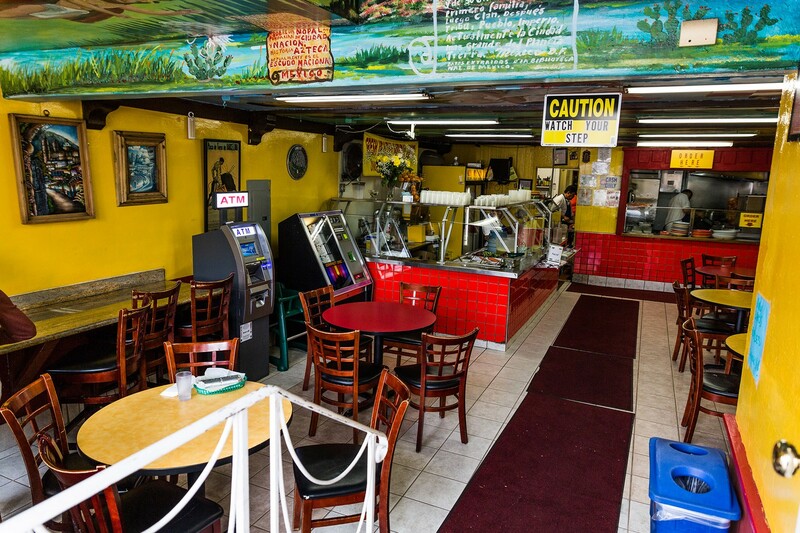 We'd eat El Castillito over its more notorious counterparts any day of the week. If you haven't visited, you should. Basically this entire review was a food rundown of a single food. As noted above, we go pastor, but pollo and chorizo are acceptable choices. You MUST have the melted cheese, whether you go super or not (we usually don't). You will be happy.